Are weeds wrecking havoc with your lawn? You could try to kill the weeds by pulling them out by hand but unless you remove them roots and all, you’ll probably make the problem worse. Or if you decide to try a herbicide and use the wrong one, you could kill your lawn off completely. If you’re fighting a losing battle with weeds, Jim’s Mowing can step in to provide you with weeding and other lawn care services, all at an affordable price. 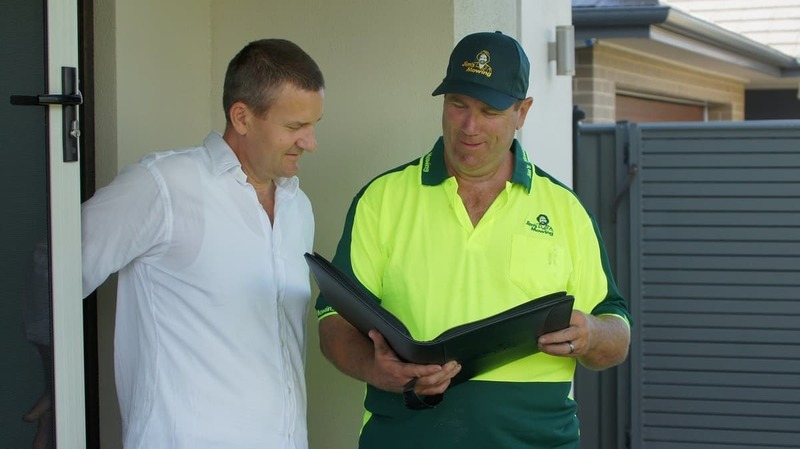 No matter what lawn problems you have, we’ll know exactly how to fix them! Compacted soil can occur if your lawn has high foot traffic or poor soil composition. This will restrict the amount of water and nutrients reaching the roots of the lawn. To fix this issue, Jim’s Mowing can undertake lawn coring, which involves using a coring machine to aerate the soil. We have the equipment and knowledge to make this job quick and easy. Regardless of the type of grass in your lawn, a layer of thatch will build up between the grass and soil over time. If this layer becomes too thick, it will prevent water, sunlight and fertiliser from reaching the lawn roots. Removing the excessive thatch by vertimowing the lawn may just be the answer to your lawn problems. 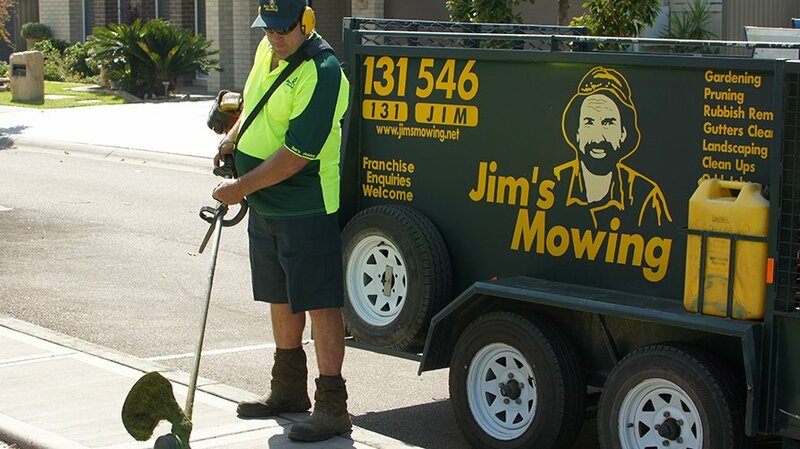 Jim’s Mowing are highly skilled in carrying out this often slow and laborious task. Pests like grubs, ants, mites and worms can also become a problem if your lawn hasn’t been looked after properly. Your Jim’s Mowing lawn care professional will identity which pests your lawn has and help you give them the flick for once and for all. Jim’s Mowing can also provide top dressing and fertilising, mowing and turf turf laying services. Whatever your lawn needs, we have it covered! If your lawn could do with some expert attention, call Jim’s Mowing today 131 546 or Book Online for an obligation-free quote on our lawn care services.